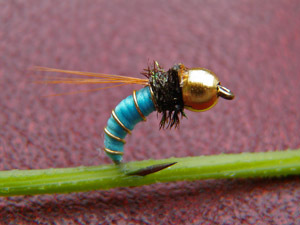 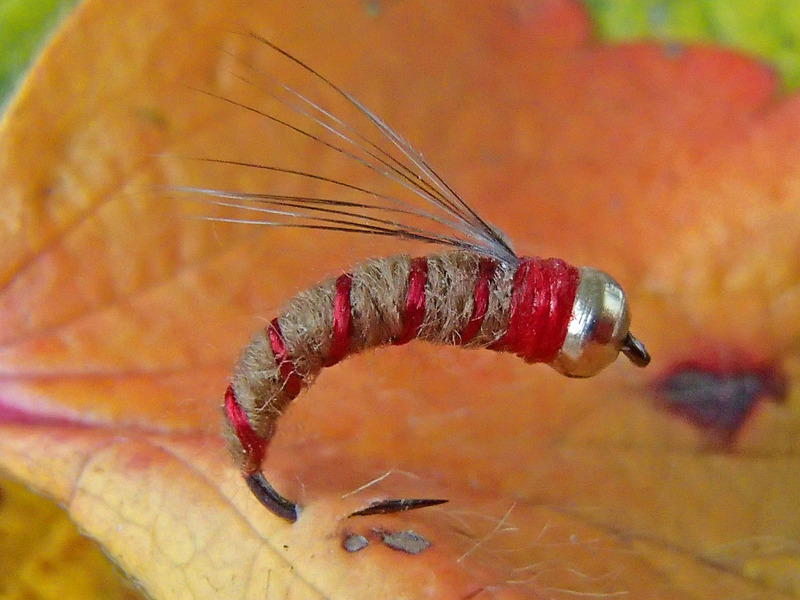 Bead head nymphs have since their development a fixed place in any flybox. 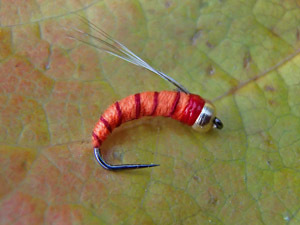 We offer just a few, very simple, but very effective nymphs. 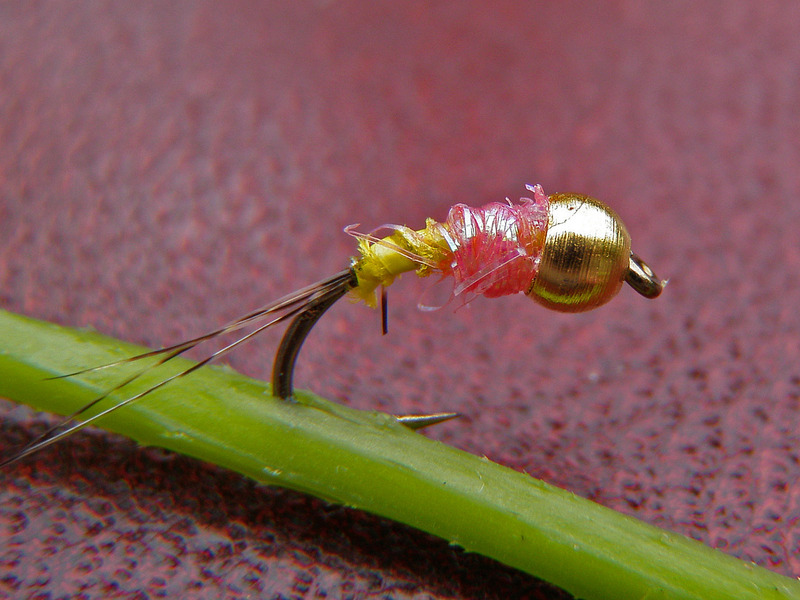 The classic Swiss goldhead nymph. Used with success not only by flyfishermen, but also by those who fish with a swimmer- Takes grayling and trout far better than any natural bait. Size 14. For a long time, the larva of the olive sedge is used as the best bait for grayling. 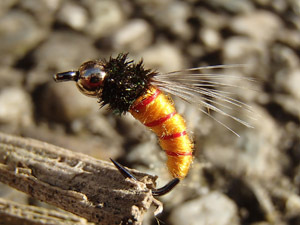 Instead of searching this larva in cold water, even the fishermen using a swimmer prefer to use the Swiss Guegi. 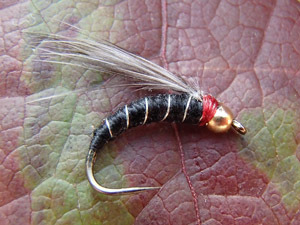 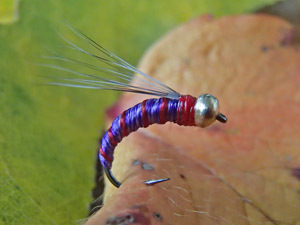 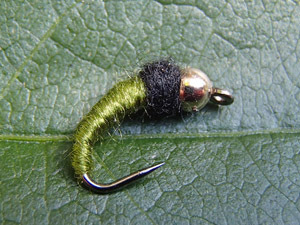 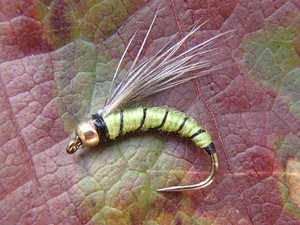 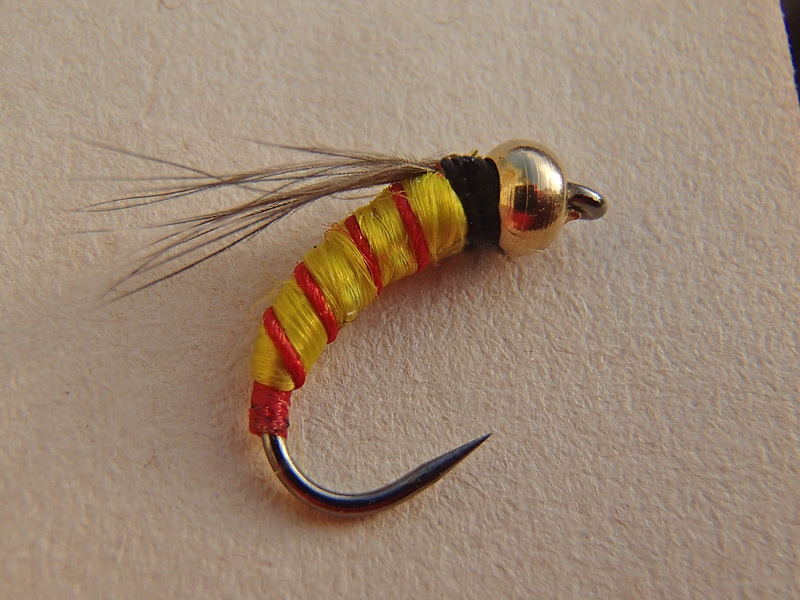 The famous Berner Nymphe in a variant with a metallic bead- gets down to the big fish. 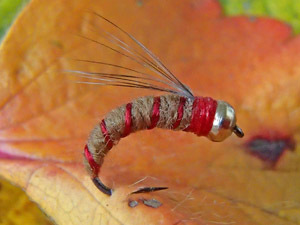 Highly successful trout nymph and grayling nymph. 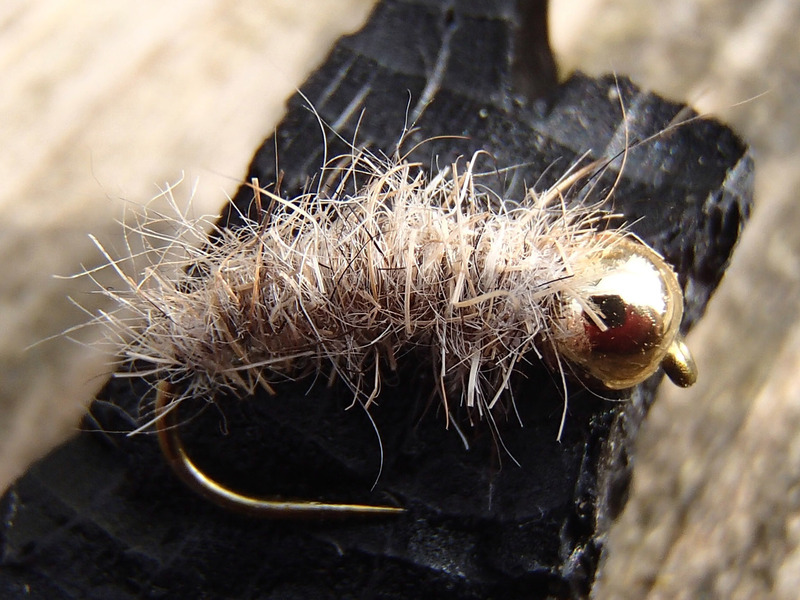 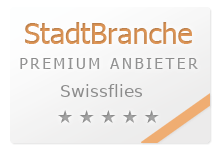 Swiss success is a very simple, but very effective nymph. The golden head is extra light, which makes this nymph move very naturally in the water. 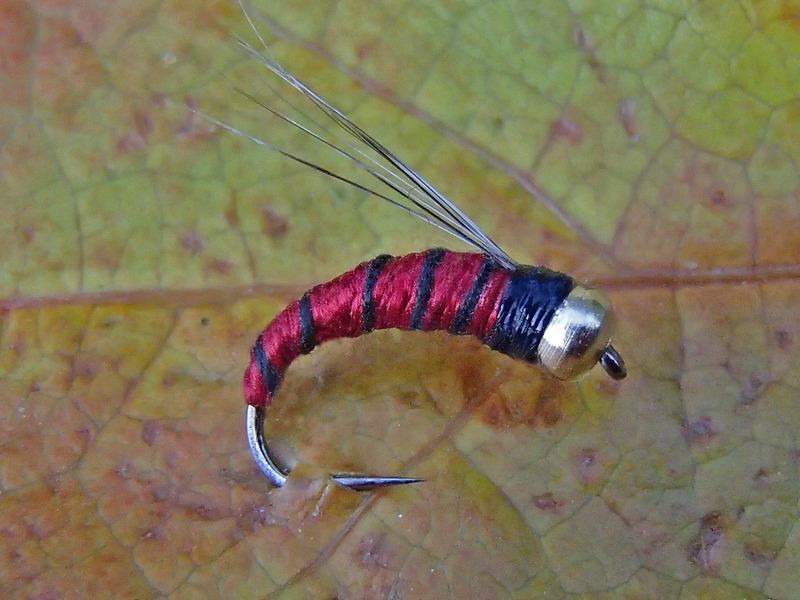 Often used as springer in combination with a heavy tungsten nymph. 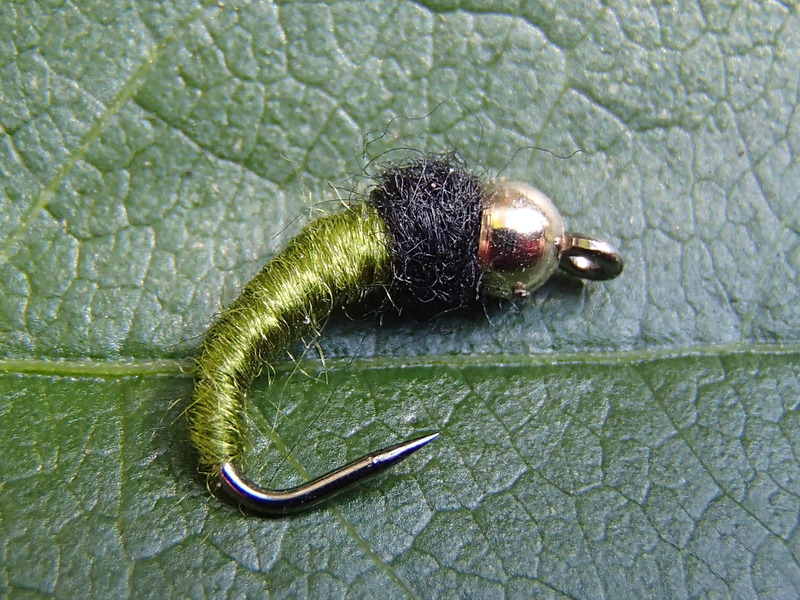 Small nymph- big fish. The blue nymph, Swiss handmade according the Original pattern by Urs Dublin, is far the best nymph for big grayling. 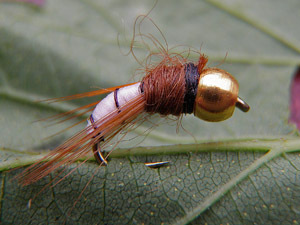 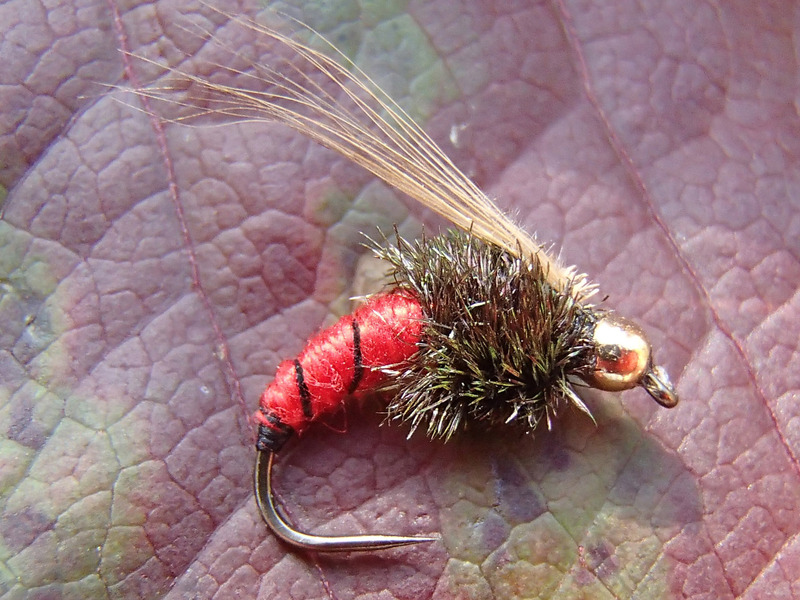 Goldhead nymphs are good, but on difficult fish, try the famous Swiss Bernese Nymphs (Berner Nymphe) or the Red Hook too.